The 16 Official comprises of Extension Agents, Plant Protection Officers and Post Production Officers made Institutional visits to Nepal Agriculture Research Institute (NARI) and National Maize Research Program (NMRP) from 11-23rd November 2017. 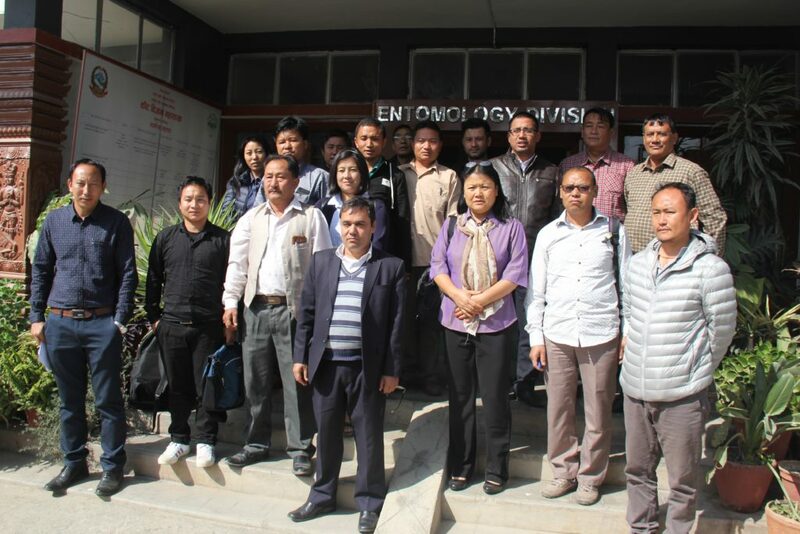 The main objective of this institutional visit was to learn and strengthen participants’ capacities on successful storage pest management, drying and storage methods practiced in Nepal. The trip also provided the platform for NPPC, NARC and NMRP to share and work collaboratively in research and development activities. Participants will apply the knowledge and skills acquired from the visit to improve farmers’ storage pest management, drying and storage system in their Gewogs. After returning from the visits, the participants made presentation on knowledge and experiences gained from the trip. The institutional visits were part of Maize TCP Project (TCP/BHU/3603) funded by FAO.